We need to catch up here on MTG Realm with some news which we did not get around too. Last week on the mothership, there was an announcement of another addition to Planechase. 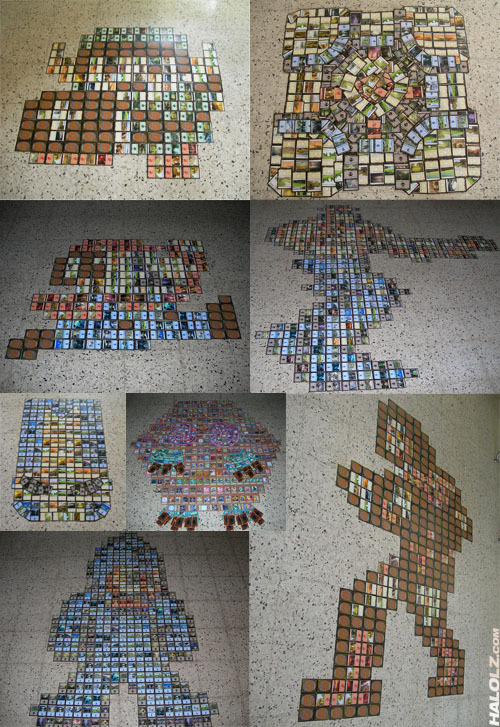 This casual Magic the Gathering format called 'Planar Magic' uses a six-sided Planar die and oversized Plane cards which are themed to various locations within the multiverse and provides various rules modifiers to regular gameplay. 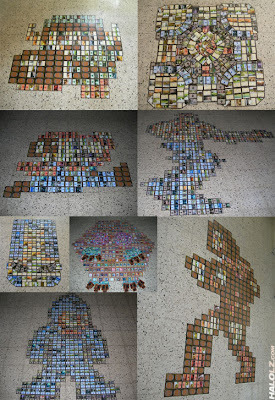 Previously in 2009, four game packs were released which contained a 60-card preconstructed deck, 10 Plane cards, and the Planar dice. The decks were Elemental Thunder (red / green), Metallic Dreams (blue), Strike Force (red / white), Zombie Empire (black). 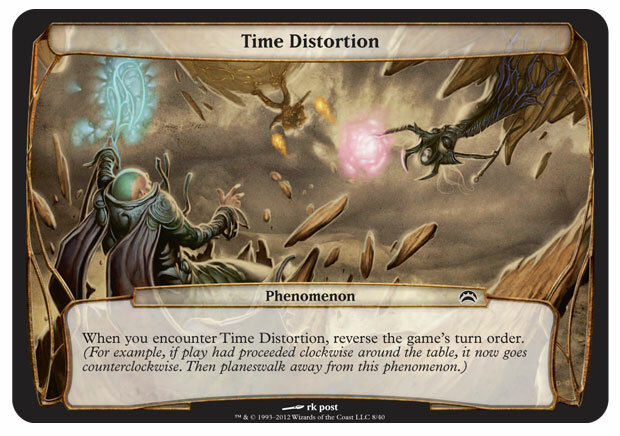 In last week's announcement (here), Wizards plans to release four new pre-constructed Planechase decks (Chaos Reigns, Night of the Ninja, Primordial Hunger, and Savage Auras) will contain all-new planar decks that contain a new kind of oversized card called phenomenon cards, and an assortment of new, MTG cards. Let's have a looky-see . . . In the announcement, there is also a mention of a cycle of multicolored Legendary creatures with this Planechase spoiler . . .
yo dawg, I heard you like cascade . . .
With a total of 21 new Magic cards in this set, spread across the four decks, we're certain that MTG casual fans will be eating this up. 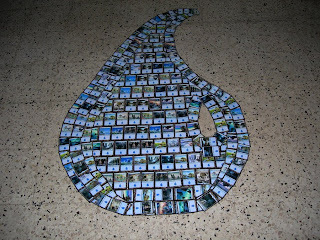 Expect this product to be released on June 1, 2012 in English, French, German, Italian, Japanese, and Spanish. Each of the four decks will contain a sixty-card Magic deck, a ten-card planar deck, and a planar die which will go for around $20. 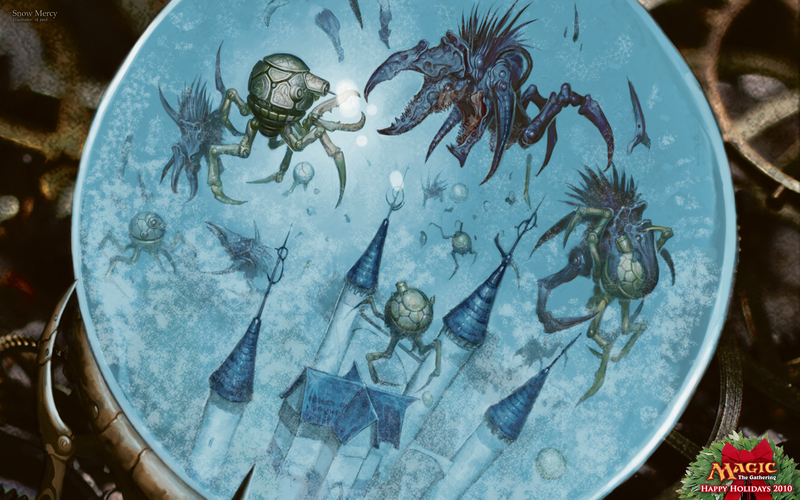 For Planechase rules, check out our previous post HERE. the folks over at MTG Mint Card, are having a very nice Black Friday / Cyber Monday promo. Make sure you use the coupon code (here) to apply savings to your purchase. This offer will hit the graveyard TOMORROW on December 1st, 2011 so make tracks soon. 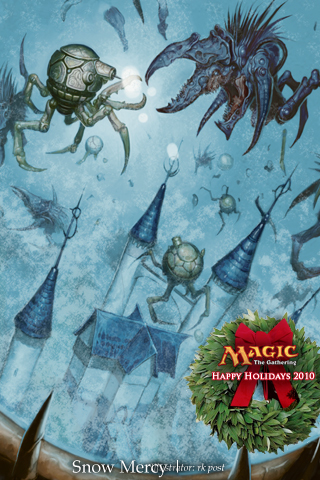 Just a titch early this year, Wizards of the Coast has released their 2011 Holiday card. 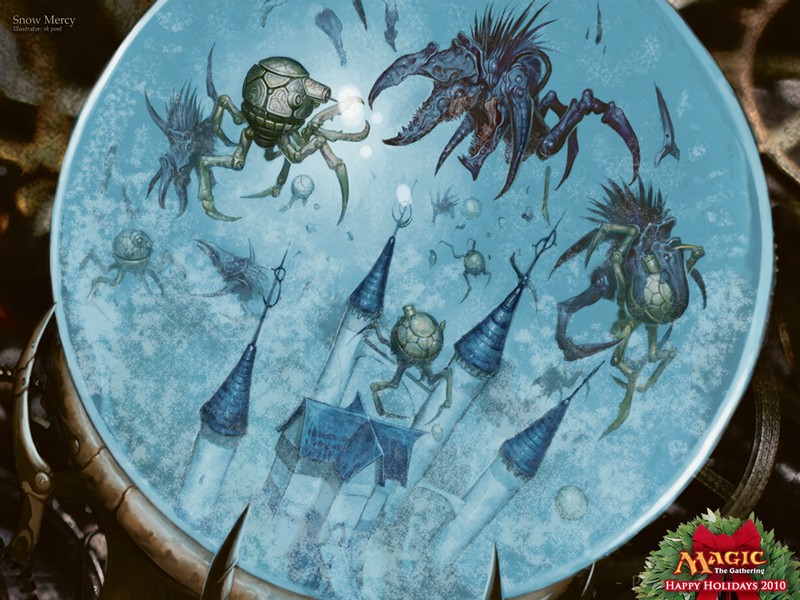 If you are not aware, these Holidays Cards are not tournament-legal but completely fun in foil, which are provide to Wizards’ staff and business partners. 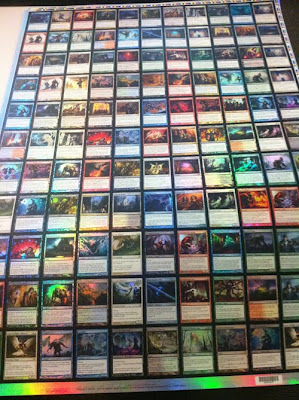 If you are not affiliated with WoTC and really, really want to score one of these, don't fret - they do occasionally find their way onto the singles market but expect to pay around $50 for these fun foil curiosities. 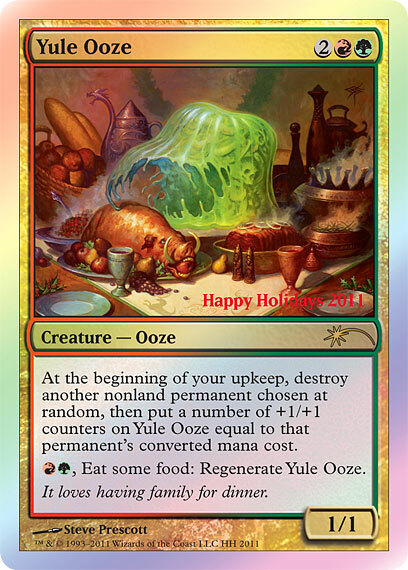 This year's card is the very witty Yule Ooze with art by Steve Prescot . 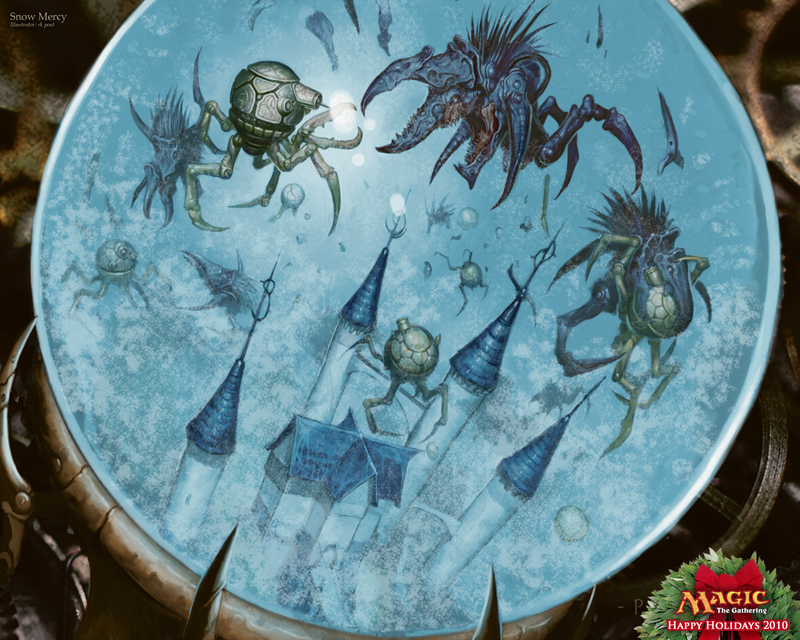 . .
the folks over at MTG Mint Card, are having a very nice Black Friday / Cyber Monday promo. Make sure you use the coupon code (here) to apply savings to your purchase. This offer will hit the graveyard on December 1st, 2011 so make tracks soon. We trust that all our cousins south of the border enjoyed a wonderful Thanksgiving with friends 'n' fam and perhaps even a little Magic the Gathering playtime. 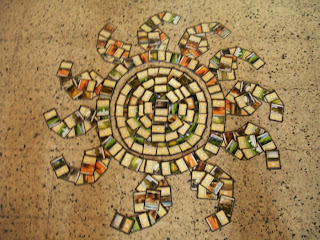 Here in Canada-Land, the three of us here at MTG Realm (RetroTech, R-Stomp, and yours truly, CopySix) derped around with a bunch of casual games over the weekend. 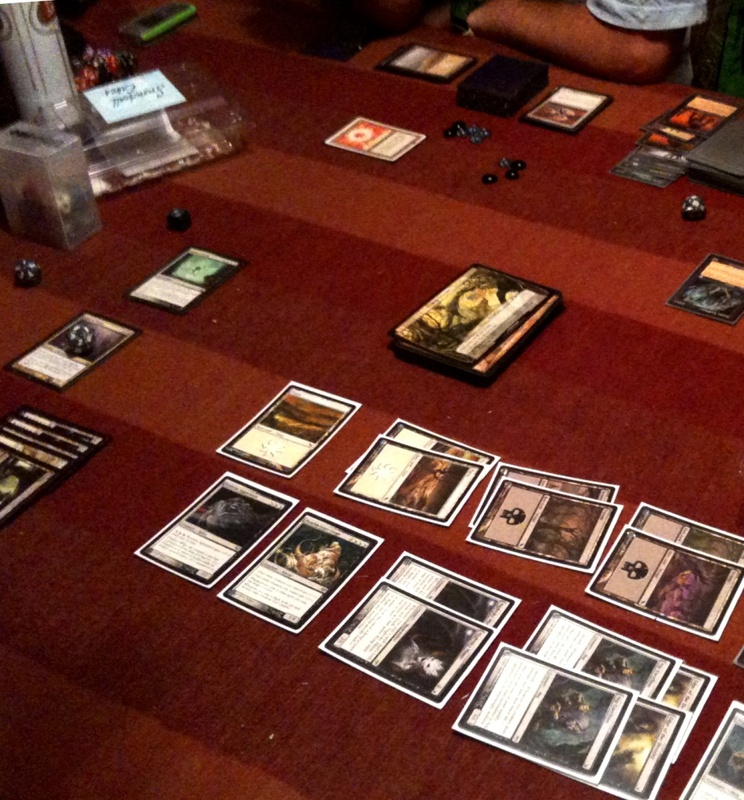 This involved throwing together a bunch of hastily-built casual fun decks and sitting down to game. As you know we are huge fans of rogue builds - here are a few interesting cards which had come together . 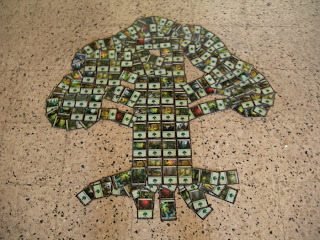 . .
R-Stomp had an interesting red deck wins concept which eschewed most traditional strategies. Cards of note were Slagstorm and Whipflare while maintaining a board presence with pro-red cards like Vulshok Refugee and Phyrexian Crusader. 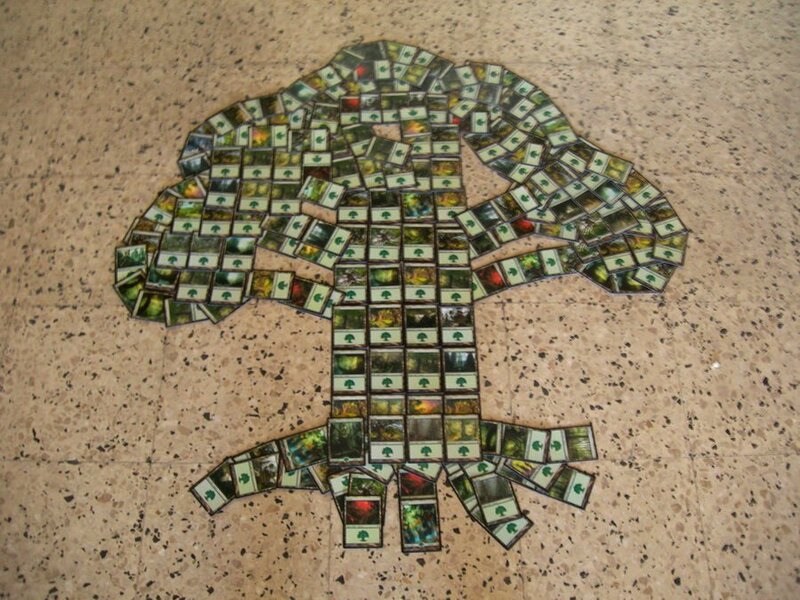 RetroTech had built a whacky green and white deck with some under-appreciated cards which delivered some rather fun game play. Her deck had quite a few walls / defenders (such as Soulbound Guardians equipped with a Warmonger's Chariot edit - see Scott's comment). One little combo which worked well for her was a Cathedral Membrane which we thought was weird until she then was able to get it enchanted with Lure. This had resulted in me loosing two very nice hexproof creatures ( a Lumberknot as well as a Dungrove Elder). As for my derpy build, the only thing I was able to pull off was a few life cyles of Mitotic Slime while Parrarell lives was in play resulting in a game table full of cute little slime tokens. Unfortunately, I could not get out an Intangilbe Virtue to really make this board position count in my favour. We want to hear about any interesting MTG game play you may have had over the weekend. Drop in your details in the comment thingy below . . .
We want to wish our American cousins south of the border a very Happy Thanksgiving and best wishes in hunting down those bargains during the Black Friday / Cyber Monday sales. We think there may be a joke somewhere in here with hunting and Rebecca Black on Friday but we're gonna let that slide for now. 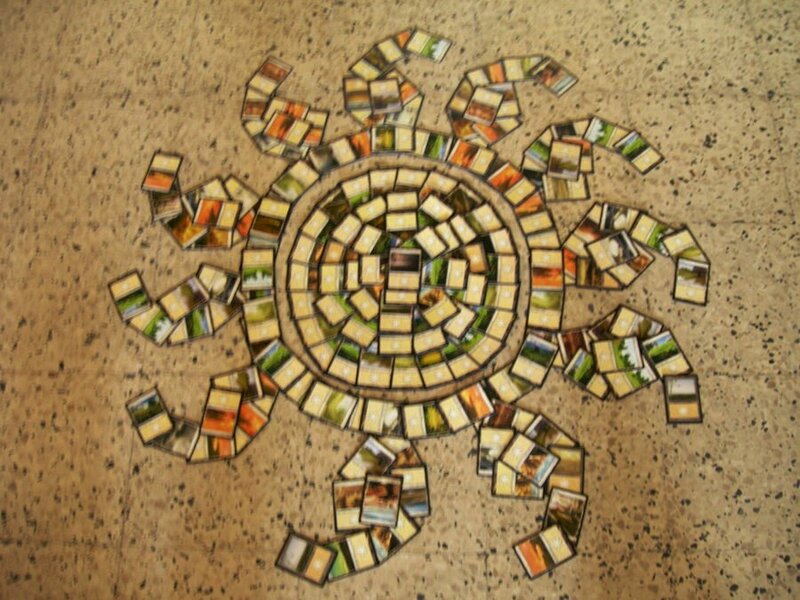 Anywhoos - Onto the MTG geek eye candy . . .
Today, we want to yatter about the new Premium Deck Series: Graveborn. This Magic the Gathering limited print run set features several new arts within an all-FOIL 60-card deck. There are 6 rare cards and several very difficult to obtain older cards. These retail locally for around $40 and was released last week (Friday 18th November, 2011). Enough yattering for now - let's looks at a video we put together. This isn't a straight unboxing vid - we actually do some talking to review some of the strategies this build provides as well. 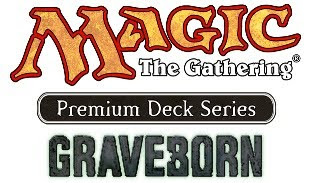 MTG Realm reviews the latest Magic the Gathering Premium Deck Series: Graveborn. 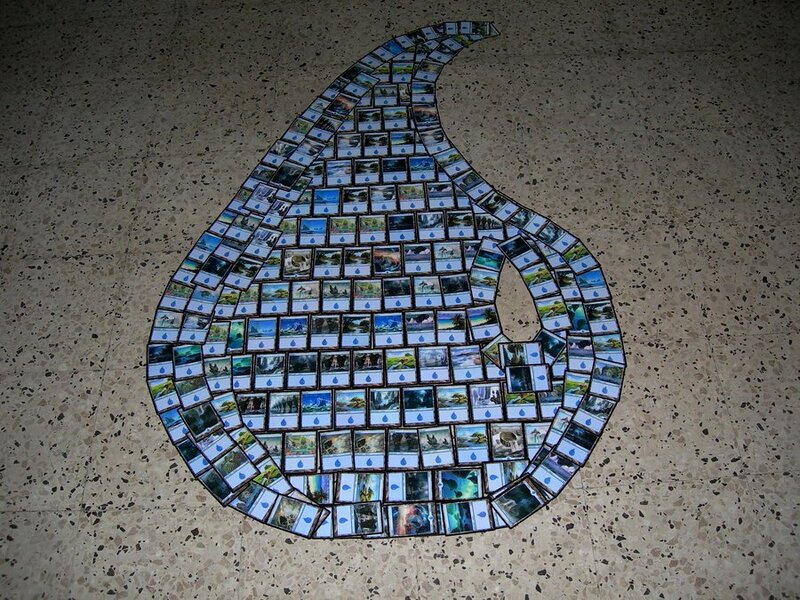 Sponsored by MTG Mint Card - the best source for MTG singles and supplies. Graveborn supplies Legions of corpses to await your sinister commands. This 60-card, all-foil deck entombs, exhumes, and reanimates some of the most powerful Magic creatures from all five colors of mana. Harvest your graveyard for an assortment of these face-beaters as you walk over a field of bones to claim your victory. Premium Deck Series: Graveborn is a control / aggro hybrid which can be considered a toolbox deck in that it will allow you search out a number of cards (usually singletons) to drop them on the battlefield at strategic moments in game play. Entomb and Buried Alive are the main cards that will get this job done. Graveborn is all about recursion and using your graveyard as an effecient library. Several cards such as Entomb and Buried Alive will allow you to search your library for your choice of cards and drop them into the graveyard. Other cards such as Putrid Imp, Sickening Dreams, Hidden Horror, Last Rites, Zombie Infestation, and Cabal Therapy are able to accomplish this by discard action..
To get your bombtastic monsters out of the graveyard and onto the battlefield, cards such as Animate Dead, Exhume, Dread Return, Diabolic Servitude, and Reanimate are provided. Targets for reanimation are Sphinx of the Steel Wind, Crosis, the Purger, Inkwell Leviathan, Avatar of Woe, Blazing Archon, Verdant Force, and Terastodon to ensure you always have the right answer for an alpha swing or an opponent's threat. If you like most of the cards but want to tweak the build, you can always score singles of this at MTG Mint Card and start tweaking your own brew. They are having a very nice Black Friday / Cyber Monday promo. Make sure you use the coupon code (here) to apply savings to your purchase. This offer will hit the graveyard on December 1st, 2011 so make tracks soon. Today we are following up our discussion of prior popular Magic the Gathering deck archetypes now in standard constructed. 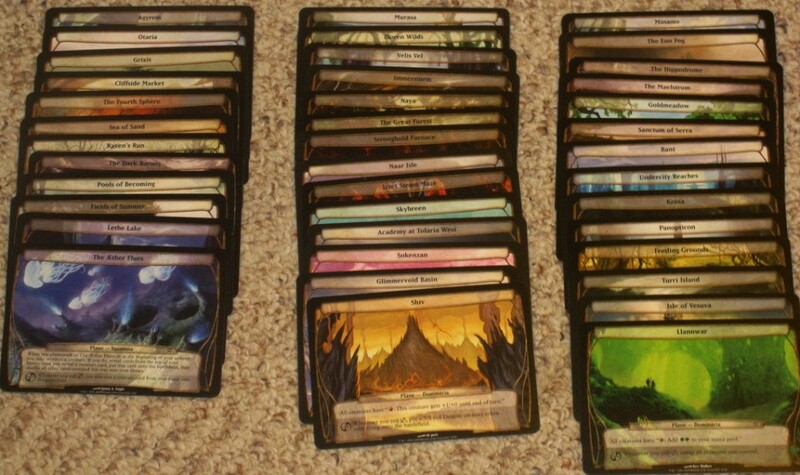 We hope to provide additional posts along with sample decklists representing a typical build. 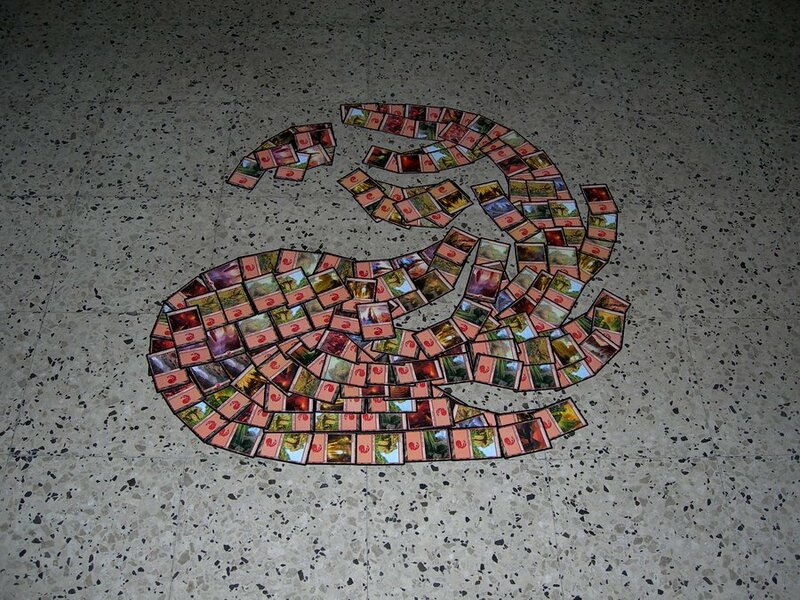 Standard (or sometimes still called type II) is a 60-card Constructed format consisting of the two most recent blocks and any core sets released after either of those blocks. 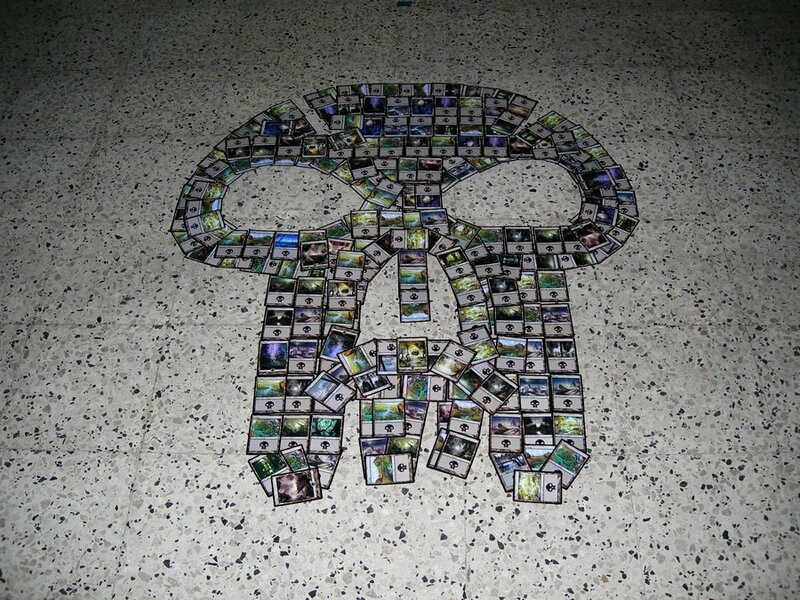 As of the last set release (September 30, 2011), Standard consists of cards released in the following sets - Scars of Mirrodin, Mirrodin Besieged, New Phyrexia, Magic 2012 Core Set, and Innistrad. The current keywords / card mechanics that you will find in these sets are Battle Cry, Bloodthirst, Double-Faced Cards, Flashback, Imprint, Infect, Intimidate, Living Weapon, Morbid, Metalcraft, Proliferate, and Transform. Common Decks that are being played on those Pro-Tour circuits and at your local Friday Night Magic event include the following (in alphabetical order) are Birthing Pod, G/W Tokens, Mono-Red, Solar Flare, Tempered Steel, Tezzeret (losing popularity a bit), U/B Control, U/W Blade, and Wolf Run Ramp. Today we will yatter on a bit about Wolf Run Ramp. the Kessel Run is a smuggler route used to get glitterstim spice past Imperial ships in the movie Star Wars while the Kessig Run is a drop-in centre for the Krallenhorde Howlpack to omnomnom on travellers in the province of Kessig. This deck which uses green mana-ramp effects, particularly Primeval Titan, to produce a large amount of mana, which is then fed into Kessig Wolf Run to produce a lethal attack (often delivered by Inkmoth Nexus). It is a bit similar to the way Valakut builds play. Early game is when you want to drop mana dorks or accelerators such as Birds of Paradise, Viridian Emissary and / or Solemn Simulacrum. Mana ramp spells such as Rampant Growth also do the trick. From here, your goal is to get the fatties out on the battlefield such as Wurmcoil Engine, Primeval Titan and / or Garruk, Primal Hunter. Primeval Titan is the house in this build as it provides card advantage and additional mana for spells or Wolf Run pumps. Any of these monsters are now available to be targeted for Kessig Wolf Run's ability for pump and trample thus winning you the game. A measure of spot removal is typically found in cards such as Beast Within or Slagstorm. Spellskites will mess up your game by re-directing the pump from Kessig Wolf Run to itself. In this case, you will need to get some removal out or just hulk-smash your way to the finish line. Caution should also be exercised if you have some swords in the sideboard against mirror matches - if a Spellskite is out, it will steal that sword for itself and it will be sad panda time all around. 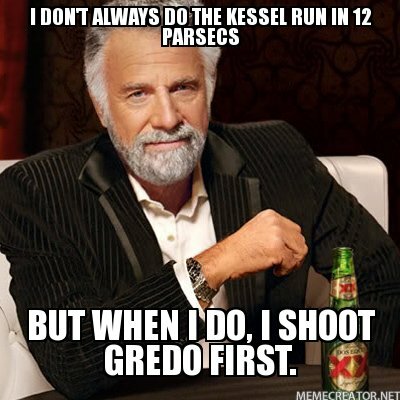 We suggest that you may be very well served with an Ancient Grudge in the sideboard to blow up artifacts. 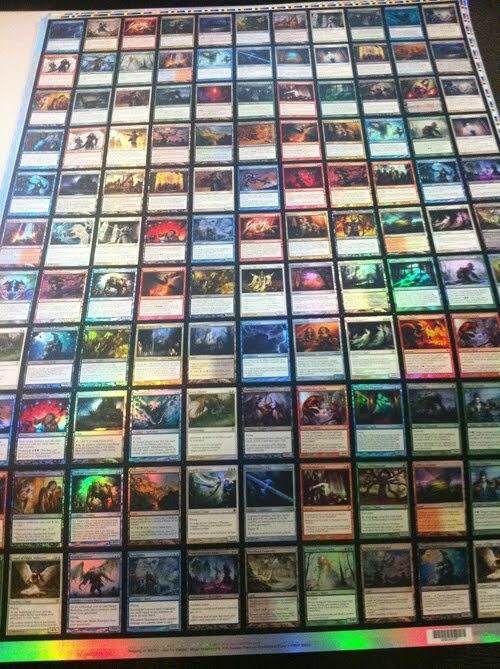 The folks over at MTG Mint Card has all those Foil Graveborn singles you've been salivating after. We suggest that a foil Entomb may make an excellent stocking stuffer for Christmas (for yourself that is). From a cursory review of the 900 or so posts here on MTG Realm, you may realise that we have a soft spot for Elspeth, no matter which Planeswalker variant she may manifest herself in. Whether she's giving evasion for an alpha-strike in Shards of Alara or blowing up boards in Scars of Mirrodin, we love her moves. Enter Christine Sprankle, a California gal who just happens to loves magic and CosPlay. During the recent Magic the Gathering World Championship this weekend in San Francisco, not only was Channel Fireball's 'Fireball Steel' deck getting a lot of attention, so was Sprankle. So much so, that WoTC's minion, Blake Rasmussen even provided a feature article on the MTG World's coverage line-up. Why ? Because this is what she wore to game . . .
Sure, we had witnessed a good number of CosPlay characters make an appearence before - from the beautiful trio of Serra Angels to that weird fat guy at FNM in the blue hoodie, but we don't think none had make quite a splash as Christine. We started playing Magic the Gathering about a year ago and took a liking to Elspeth after reading the Web Comics over on the mothership. As she is rather crafty and knows how to put together an amazing costume she took it to task to create a wonder Elspeth IRL (in real life). Christine secured a coarse woven sweater and spray-painted it with silver to create the realistic looking chain mail. She also used cardboard, tape, and craft foam to flesh out Elspeth's armour. Congratulations to Christine for the best-dress player at Worlds - not even the charismatic pro-player Brian Kibler in his excellent sports jackets could come close. You can check out Christine on Twitter HERE or her DeviantArt page HERE. You don't want to be that player going over to your friends house or to the local game store with all your cards and dice in a chessy Crown Royal bag. We suggest you look at huge variety of supplies the folks over at MTG Mint Card has - protect your expensive cards with sleeves and protect your dignity by leaving that purple velvet bag at home. 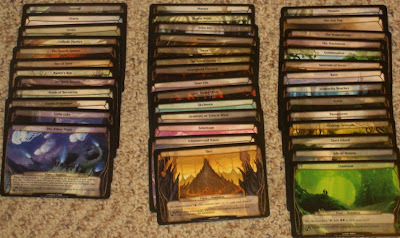 Today we hope to start a series of posts yattering about each of the popular Magic the Gathering deck archetypes now in standard constructed. Each additional post we will provide a sample decklist representing a typical build. 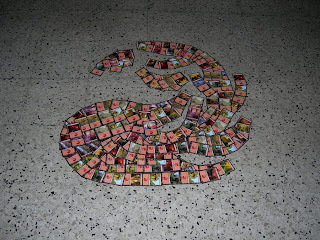 Standard (or sometimes still called type II) is a 60-card Constructed format consisting of the two most recent blocks and any core sets released after either of those blocks. 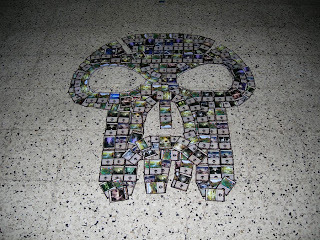 As of the last set release (September 30, 2011), Standard consists of cards released in the following sets - Scars of Mirrodin, Mirrodin Besieged, New Phyrexia, Magic 2012 Core Set, and Innistrad. The current keywords / card mechanics that you will find in these sets are Battle Cry, Bloodthirst, Double-Faced Cards, Flashback, Imprint, Infect, Intimidate, Living Weapon, Morbid, Metalcraft, Proliferate, and Transform. Common Decks that are being played on those Pro-Tour circuits and at your local Friday Night Magic event include the following (in alphabetical order) . . .
Birthing Pod - This is a build centered around Birthing Pod, and a variety of utility creatures, often with enters-the-battlefield abilities, to be fetched with it. G/W Tokens - This is an aggressive build using multiple token-producing effects to swarm the opponent, often with Intangible Virtue, Gavony Township and/or Mikaeus, the Lunarch to pump token stats. Mono-Red - A simple but effecient deck running releatively smaller creatures and a number of spells with direct damage to a target creture and / or player. Solar Flare - This is one of the newer controll decks which uses permission and removal, combined with a heavy graveyard theme. Popular cards in this build may have flashback with additional spell plays with Snapcaster Mage. Some creature recursion is available with Unburial Rites and / or Sun Titan. Tempered Steel - This is a quick tempo aggressive deck which uses inexpensive artifact creatures, often with evasion (flying) being pumped by the enchantment Tempered Steel. Tezzeret - This control / aggro deck contains quite a few artifacts and the planeswalker Tezzeret, Agent of Bolas. 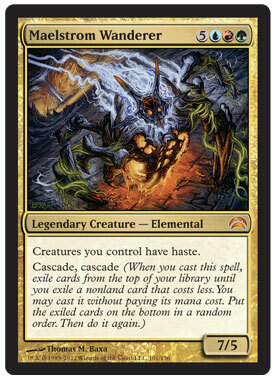 Other versions might also use Kuldotha Forgemaster as an enabler, to quickly power out mana-expensive cretures such as Blightsteel Colossus or other win conditions. U/B Control - Classic control deck, using permission, removal and card advantage paired with a small number of win conditions. U/W Blade - An evolution of the previous Standard season's "Caw-Blade", a midrange aggro-control deck pairing blue permission and card advantage with white removal and creatures, and Equipment. Wolf Run Ramp - deck which uses green mana-ramp effects, particularly Primeval Titan, to produce a large amount of mana, which is then fed into Kessig Wolf Run to produce a lethal attack (often delivered by Inkmoth Nexus). This past weekend was the 2011 Magic World Championship in San Francisco which saw a variety of the above archetypes including several rogue decks attempting to sneak into the current metagame. Altough the Top 8 builds were dominated by Tempered Steel, the winner was Junya Iyanaga's Wolf Run Ramp which beat out Richard Bland's GW Tokens to take the title.